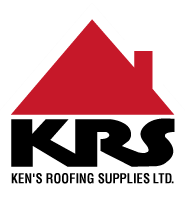 Roofing Materials Victoria | Our Trucks | Ken’s Roofing Supplies Ltd.
Ken’s Roofing Supplies keeps a supply of trucks handy to serve your needs. We have 5 specialty crane trucks in varying sizes capable of delivering your roofing supplies to almost any spot. Our crane trucks are able to handle heights of up to 50 feet. We also have 2 garbage disposal trucks to carry off the bins we can supply for your roofing site. Call us for a small 12-yard bin up to an extra-large 40-yard bin, and our truck will take your roofing site garbage away.